Yoga Nidra, or yogic sleep, is a guided meditation that allows you to slow down mentally and feel better physically. Since this is a guided meditation (versus a silent mediation) practice, it makes it a little easier to keep your mind from wondering and less agitation occurs as the teacher takes you through points of focus and lays the groundwork for letting go and relaxing. 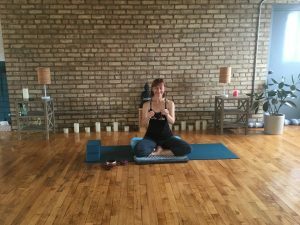 This meditative practice also includes restorative yoga poses to make it that much sweeter! No experience necessary. All are welcome. This is a regularly priced yoga class that happens only once a month. Based on the healing technique of T.R.E. (Trauma and Tension Releasing Exercises) from Dr. David Berceli this unique yoga class will incorporate your typical vinyasa flow with a specific focus on fatiguing the leg muscles and lengthening the psoas. After a 60 minute strong, all levels yoga class, we’ll move into positions that will allow space for neurogenic tremoring. Class will end with a deeply relaxing savasana (final supine meditation). To learn more about TRE and neurogenic tremoring, visit www.traumaprevention.com. 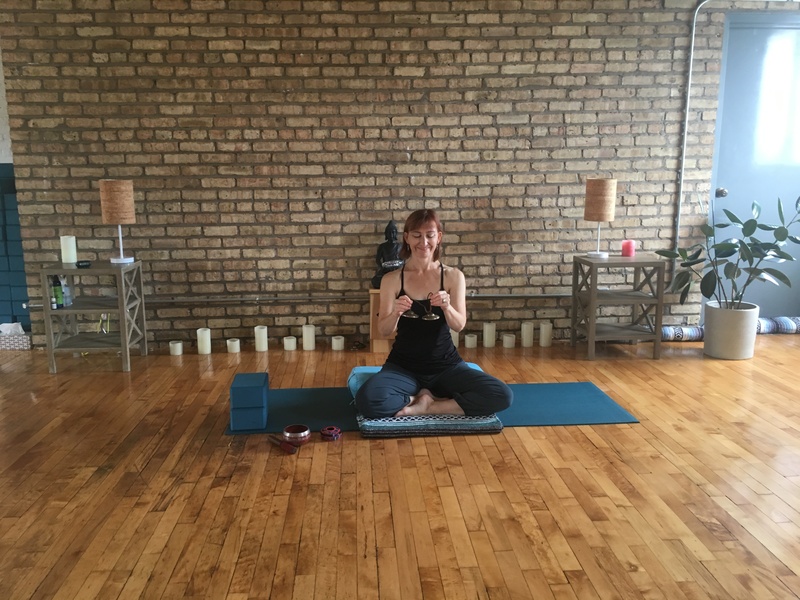 Danielle Dickinson is a certified and experienced TRE facilitator and yoga teacher with a passion for trauma healing and trauma-sensitive practices. This class is suitable for all levels. Cost is $25. Auto Pay Members receive 10% off. Join Melissa for an afternoon of relaxation and restoration. 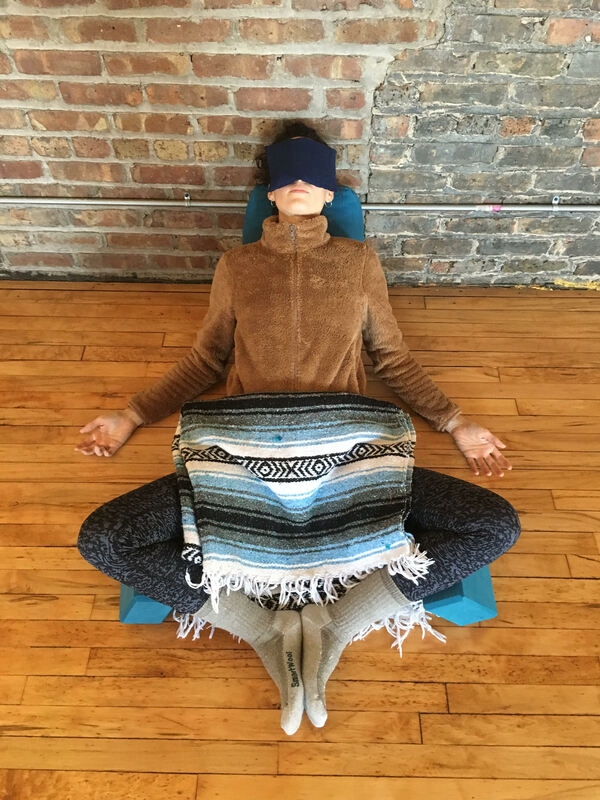 This 2 hour extended class will begin with making personal weighted eye pillows to enhance your restorative yoga experience. We will provide the pillow case, filling, and different dried aromatics, such as lavender and rosemary, to customize your pillow. We’ll then move into an extended restorative practice, giving our mind and body the opportunity to slow down and relax. Class is $45 and this includes the price of your (take home) eye pillow. AutoPay Members receive 10% off. The classic division of the practice of yoga into separate limbs distinguishes dharana or concentration from dhyana, meditation. We’ll start with a discussion exploring the relationship between these two and then experiment with several concentration techniques. Using sensory focus, mudra, mantra, simple breathing methods to manipulate energy, and visualizations, we’ll relax the body and unify the mind in such a way to cultivate a meditative state. No previous experience is required. Workshop is $30. AutoPay Members receive 10% off. No matter where you are in your asana practice, backbends are an invigorating, complex, and FUN part of the physical yoga practice. Backbending can be particularly challenging because of the way that our day to day lifestyle so consistently forces our bodies to hunch forward—computer work, driving, and even habitual slouching, all contribute to a body that is almost continually forward folded. Backbending forces us out of our habits, and sends healthy hormones coursing through our veins. As well, backbends done well can build strength and flexibility simultaneously! 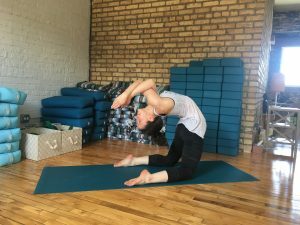 Backbends are sometimes a “fear pose” for people—the rush of adrenal can be overwhelming, or the fears of new injury or worsening an old one might pop up. With proper preparation, modifications, and a balance of lengthening and strengthening, you too can expand your backbending practice and approach new postures in a safe way, with individualized attention, props, and modifications. All levels welcome. Workshop is $30. 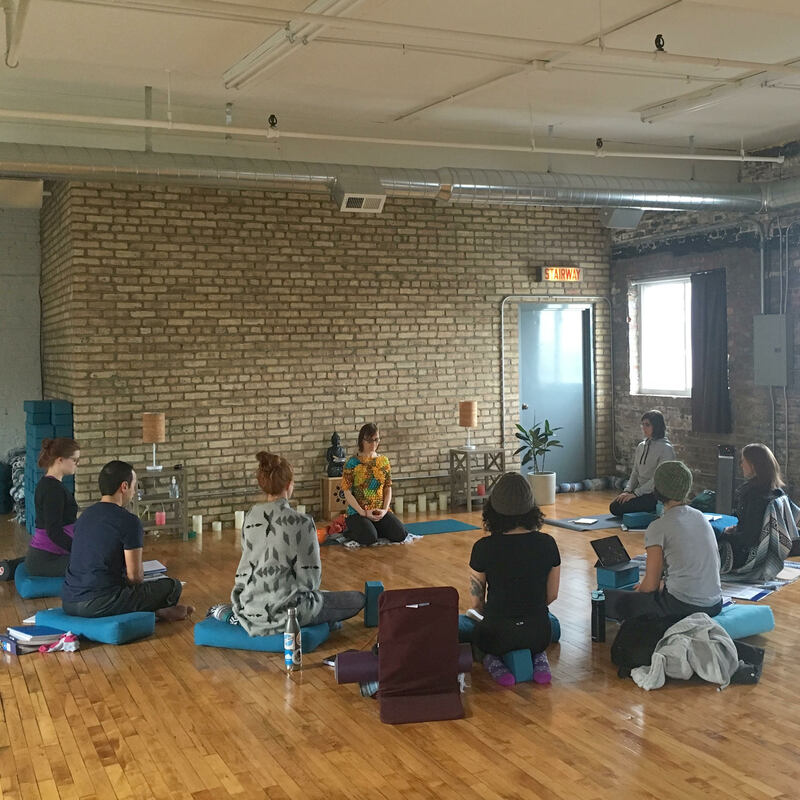 Join us for our next round of Yoga Alliance certified Teacher Training at YFAB. Our well rounded training covers everything from postures and sequencing to meditation, breathing and other yogic practices and principals like chakras, bandhas, gunas, the yoga sutras, ayurveda and much more! Yoga For All Beings teacher trainees learn how to teach vinyasa style yoga classes for varying levels of students and also touches on other styles of yoga like yin yoga, restorative yoga, prenatal yoga, yoga nidra, trauma sensitive yoga, neurogenic yoga, and yoga for special populations. All graduates from our 200 Hour YTT program will be officially certified yoga teachers and they will also be eligible to register with the accredited Yoga Alliance (if they choose to do so). Learn more about our teacher training program here.